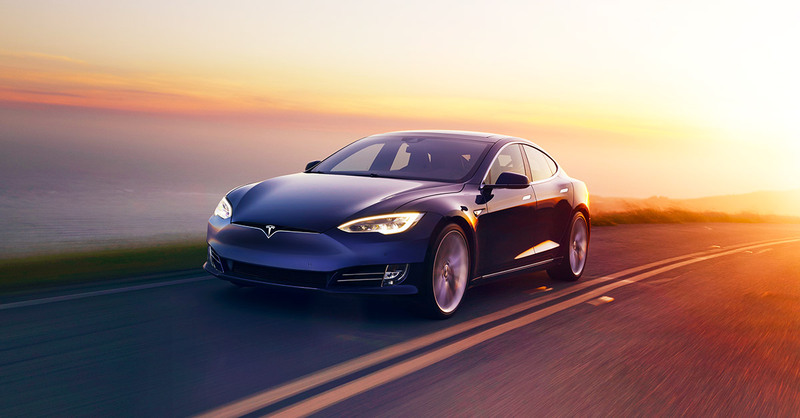 TESLA Inc. (NASDAQ: TSLA) is one of the most heavily shorted stocks, which has been a major factor in our decision to avoid it up until now. Short sellers have always believed that Elon Musk is a dreamer and that the company is doomed to fail. They believe Tesla is threatened by the ever-rising competition in electric vehicles coming from big car manufacturers. The bulls on the other hand see Elon Musk as some sort of savior who is heroically fighting to save our planet. The company's earnings have usually been missing estimates driving the stock down below $300 per share almost every single time this past year. But then, Musk tweets a fantastic claim, and the shares rebound again squeezing the short sellers. The latest results and outlook for 2019 were not as bad as some had feared, and this is Tesla's fourth profitable quarter overall since its IPO in 2010. Most importantly, this was the first time ever that the company reports back-to-back profitable results. Tesla generated strong free cash flow, which should ease balance sheet-related concerns, and this is the biggest positive news from this release in our opinion. The company said its cash position substantially improved by $1.45 billion, despite spending $230 million to repay convertible bonds during the quarter. Moreover, Musk is predicting vehicle deliveries to increase by 50% in 2019. A second positive note, coming out of Germany, is that Mercedes and BMW might embrace a Tesla battery solution. German car makers came to realize that as the industry transitions to electric cars, a large part of the vehicle value-add will move to battery making. And for some reason, Germany can't seem to make its own battery cells. Long-term investors are still very cautious however, as Tesla might need to raise more capital in the short term. Especially given the fact that it needs to pay off $920 million in debt due March 1st. Bondholders can convert the debt into equity if the shares trade at or above the strike price of $360, but below that price, Tesla would likely have to pay off the notes in cash. So the question is: will the stock price, currently hovering between $300 and $320 following a nice rebound from key support levels at $280 after the latest earnings results last week, finally move up to $360 and possibly break the $380 resistance level? Or will 2019 prove to be a tough year ahead for Tesla, as it fails to keep up this positive momentum in profits? 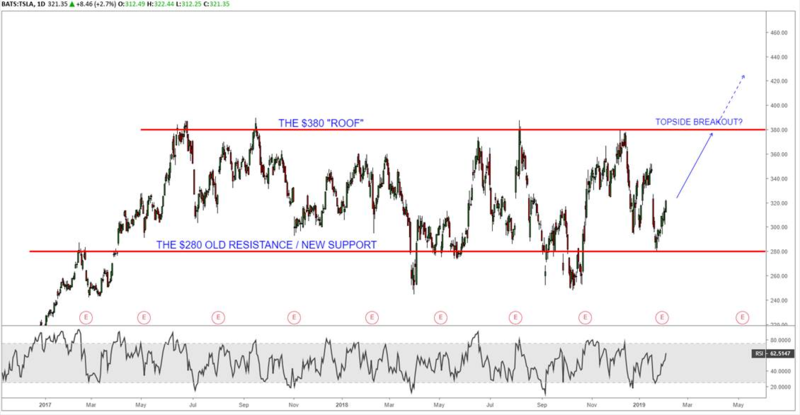 Short-sellers have been making a killing in 2018 by shorting the stock around the $380 "roof", and buying back as price drops. Therefore, from a technical perspective, should the stock price move above the $380 key resistance level, we will most likely witness a topside breakout followed by an epic short squeeze with a measured price objective based on the charts perhaps about $475 to $525. This was written by the ADSS Research team.